Sydney born, Thomas Knight has made his mark on the Australian Trance scene with a true essence of the sound we love. His diversity of music in trance and progressive has made him one of the very best in Sydney. He is one of the most well known people in the industry, and has gained the respect of many producers, promoters and fans around Australia and internationally. 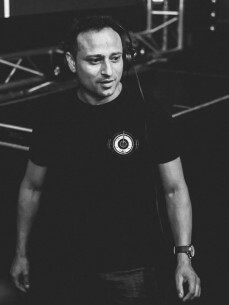 Making his mark in the trance family, Thomas Knight has headlined some big events like Godskitchen, Future Music Festival, Creamfields and supported acts like Markus Schulz, Aly & Fila, Ojan Nilsen, Roger Shah, Cosmic Gate, Rank1, Jochen Miller, Leon Bolier, Ferry Corsten, Shogun and many more. .